TRYP by Wyndham Dubai, a 650-room hotel in Barsha Heights, will today unveil one of the most sophisticated green initiatives of any hotel in the Middle East. 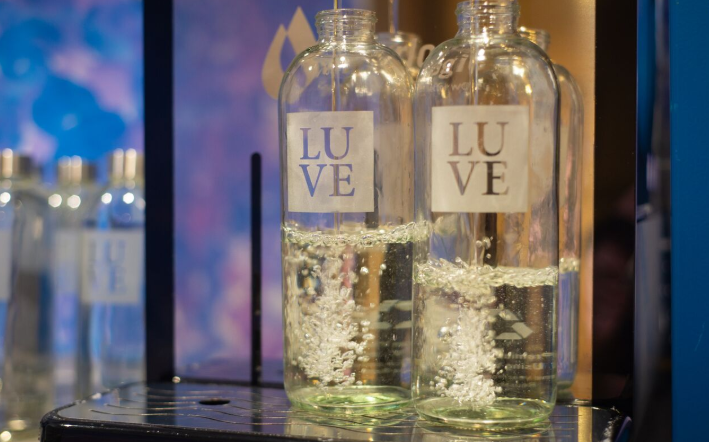 A market leader in sustainability, the hotel has fully operationalized the region’s first ever glass water bottle refiling system, completely eliminating the use of plastic bottles. The water filtration system removes chlorine and contaminants from mains water. The glass bottles, once used, are cleaned, refilled and labelled in-house – often plastic bottle free initiatives still see much waste going in to landfill. Another policy central to the hotel’s green initiatives is that it will be the first hotel in the Middle East to use sustainable paper toweling manufactured from 100% locally recycled cardboard. From toilet paper, to tissues and hand towels, all will be manufactured in the UAE, an initiative exclusively created for TRYP by Wyndham Dubai. The hotel’s investment in the project is part of its LUVE (Love Your Vibrant Earth) initiative, which was introduced in 2018 to reduce waste, re-use materials, and give back to its community and guests. Just some of the other green initiatives include the collection of used soap bars which are then sent to developing countries to be reprocessed and compressed into new 500g bricks, which creates jobs and improves standards of living, as well as using bathroom amenities that are made from 86% organic ingredients that feature packaging made from 100% recyclable materials. Upon becoming 100% plastic bottle free, Jo-Ella Moore, GM, TRYP by Wyndham Dubai said: “We are acutely aware of our responsibility to the UAE to reduce plastic waste and are delighted to partner with No More Bottles in this ground-breaking initiative. The system works by connecting a technologically-advanced water filtration unit to the hotel’s mains water supply. The filtered water runs to a dispenser that delivers water of different temperatures – even sparking water. Alternatively, the filter is fitted underneath a sink and connected directly to a tap. Using techniques including reverse osmosis and UV light, water is made free from contaminants and chlorine, eliminating the need for expensive and environmentally unfriendly plastic bottles. No More Bottles was founded by two British expatriates living in Dubai who have extensive experience within the UK and UAE bottled water industry. Pete Haigh, Business Development, No More Bottles said: “After working in the industry, it became clear to us that reliance on plastic bottled water is unsustainable and that public perception that tap water is not drinkable meant there was a real need for change – both from an environmental impact and public perception.